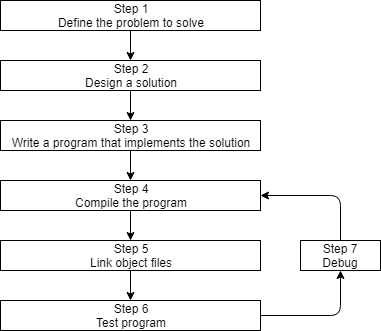 What are the various kind of programs,one can write using c++? Can you explain what a runtime support library is? As noted in the lesson, the runtime support library is a bunch of optional routines that you can include in your program. These routines assist with tasks such as input and output, string handling, searching and sorting data, etc... The runtime support library is pretty extensive, and most C++ programs use at least some functionality from it. Because the runtime support library doesn't change with each program you write, it comes precompiled, so it only has to be linked into your program. I'm learning this so that I can begin game development in Unreal Engine 4. Will the compiling thing still apply or not? Will Unreal do it for me or not? Unreal Engine is designed to integrate with an existing compiler and IDE, such as Visual Studio 2013 (see here for information. OooooHhhhhh Dear!!! I never expected i would learn from a cat!!! But Here we are! Great job by the Way! Hi, thank you for this tutorial. Its very user friendly and easy to understand. Hey, are you continuing these C++ tutorials? Last one you posted was in 2011.... These tutorials are really good by the way. I'm in the process of writing v2.0 of this site, which includes both new material and touched-up existing material. After I'm done, I'll think about additional tutorials, but I still have quite a ways to go before I'm there! Is this stuff outdated since it was made in 2007? Nope! It's still totally relevant. It's certainly possible, depending on your comprehension abilities. I know of 13 year olds who have been successful. Thnaks very much for this site. Pretty good, I came here looking to learn a programing language(I already knew several scripting languages) and learn I did. best site to learn c++ ever. It helps me so much to understand programming and C++. Thank you for all the people behind this site. You are heros! can we learn c++ without having any knowledge of c.?? This is a great tutorial.I just started my C++ class in school (+1).But this site helps me to learn more which are not in my text book.Thanks Alex for this wonderful website. Well in that case define your view on the word 'problem'. Problem in this case might be anything e.g. - I need a program that does , etc. Awesome Tutorial. Wish I had stuff like this back when I started learning VB. i really like how this tutorial was not very os picky. thanks for having instructions for mac too most people leave macs out. idk why? i've never touched any programming... unless you consider HTML as one. but this tutorial made it so simple for me to understand :) Thank you so much! This tutorial is great! (or as Data would say, "intriguing!"). I initially didn't plan on getting into the programming scene, because I am a licensed PC Repair Technician, and my workload is outrageously huge. But my job expects me to know a couple programming languages (I know HTML and CSS, but they are not exactly software programming languages- oh and I know Binary haha), and this tutorial is actually enjoyable to read. And it's perfect for people my age (16 years old) because it's free (I KNOW!!!!! ), and easy to understand. Like the way author has explained concepts. I actually am learning stuff from this tutorial I didn't previously know. After being in the field(s) I specialize in for 7 years it's been a long road. I am finally learning a few things I have always wondered about. Some of the way you explain things make it to where I don't think I will forget what I am learning. Thanks again for the great tutorial. This site is really amazing....it rocks. why is a Saiyan on here.